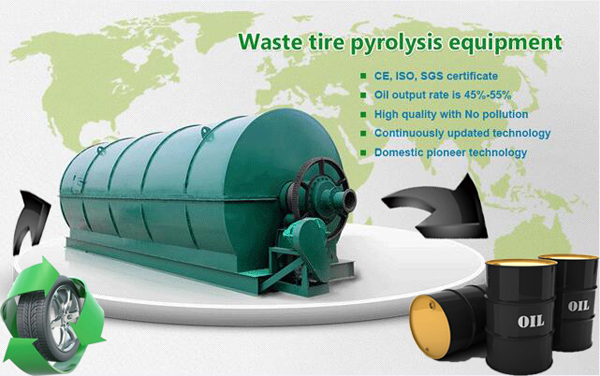 HomeFAQWaste Tyre Recycling Pyrolysis PlantHow much oil can be produced from 10 T waste tires? 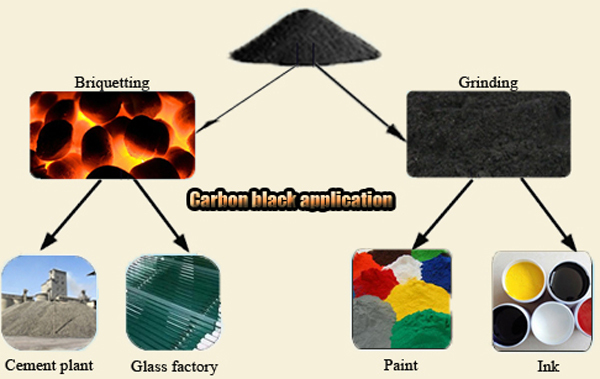 10 T waste tires can get about 4.5 T fuel oil through DOING company's waste tire pyrolysis plant. Please see the table below for details. As can be seen from the above table, the oil yield of large tires is 45%-52%, and the oil yield of small tires is 35-40%, so about 4.5 tons of oil can be obtained from 10 T waste tires. 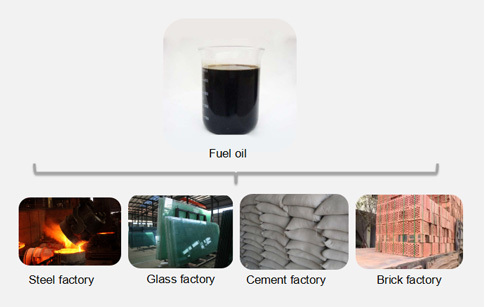 Oil is the main output of waste tire pyrolysis plant and is widely used in industrial applications such as heating boilers and other similar equipment. 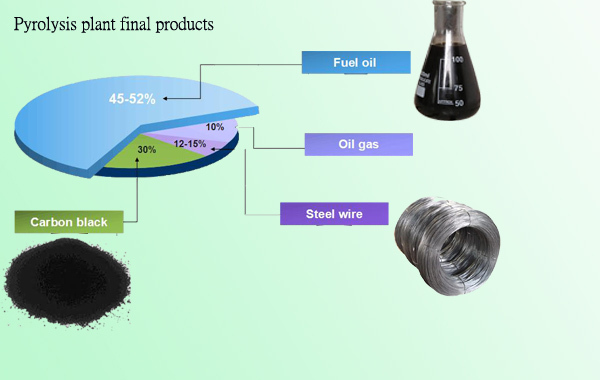 In addition to oil, the output is also carbon black, steel wire and exhaust gas, the percentage is 30%, 15%, 10%, which means that 3 tons of carbon black, 1.5 tons of steel wire and 1 ton of exhaust gas can be obtained from 10 tons of tires. .
After being reprocessed, carbon black can be used as a fuel, which is widely used in fields requiring combustion and heating, such as cement plants, steel mills, glass factories, etc., and can also be used as fuel for pyrolysis plant. Steel wire can be sold directly, and the scrap wire in many countries is expensive. A small amount of exhaust gas is piped back to the furnace of the pyrolysis plant for combustion to heat the reaction vessel. prev: What is pyrolysis/high temperature pyrolysis technology?